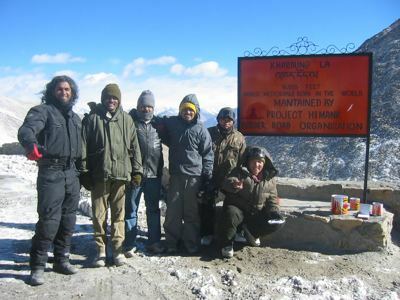 We all woke up really cold and Col. Rakesh Mishra had asked us to stay for breakfast before we left. we figured it might be best, as the distance to covered today was less than yesterday. But the breakfast took a while to be set up and i was getting anxious to roll. By the time we left the camp, it was about 9 am. The landscape between this sector, was the most amazing I had ever seen. Every turn, the landscape would change so drastically and the scale was so magnificent. We stopped quite a bit to take pics. and to just take it all in. There were some mountain passes that were just solid rock going up thousands of feet an at the next turn, it would be sand dunes and the colors were so vivid and crisp. 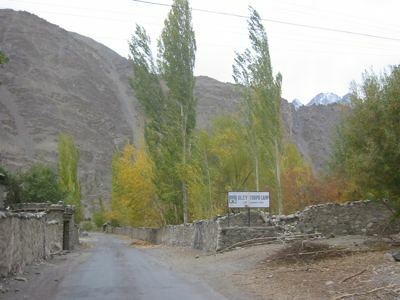 We went through some villages that were quite quaint. (se photo).They were lined with the chinar trees which were blowing in the wind. The golden colored leaves would drop on us as we rode through like we were being welcomed with a shower of petals. 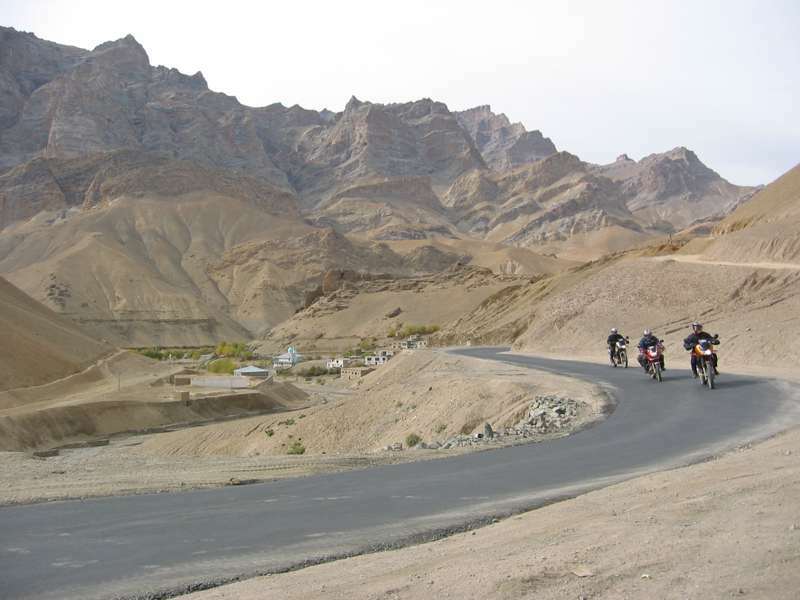 We reached Leh by 6:30 pm and the camp was another 15 km away from town. we made it out there and checked in to the 2 rooms which we 8 people were sharing. Boy, it was cold and they would bring by 2 buckets of hot water to wash with. We were resting here for another day. In the morning, Rakesh, Joe and I opted to take a ride in the jeep to Kardungla pass, 56 km away. (see photo). At a altitide of 18,380 feet, this is the highest motorable road in the world. It was so bloody cold -6 C and the BRO guy up there who happened to be from around Hyderabad, took us in to his cabin and offered us hot soup and let us warm our hands and feet back to some kind of sensation. It was fairly difficult to breathe up there as well and was beginning to make us feel nausceous. We got back down and met up wit the others and had lunch at a place called Amdo Cafe and had some authentic food of Ladakh. We then strolled around the couple of streets hat formed the main area of town. Later that evening Dinesh, Navroze and I went and met with Brigadier Naik who was taking care of us. We had a very nice conversation with him and he gave us vital information of the road ahead. It was full moon that night and the light on the mountain peaks was serene. We got in to our sleeping bags and called it a night. The toughest part of the journey was to come next. Posted by Bari on Thursday, October 20th, 2005 at 9:46 am. under Motorbike Diary. Responses: RSS 2.0 You can Leave a response, or trackback from your site.